“There is a right and a wrong in the Universe and the distinction is not hard to make.” -Superman. What makes a person mighty, honorable or super? That was the question on the collective mind of Gurim these past couple of days. This Friday we had the dedication of a new sefer Torah in Debbie Sussman’s honor. 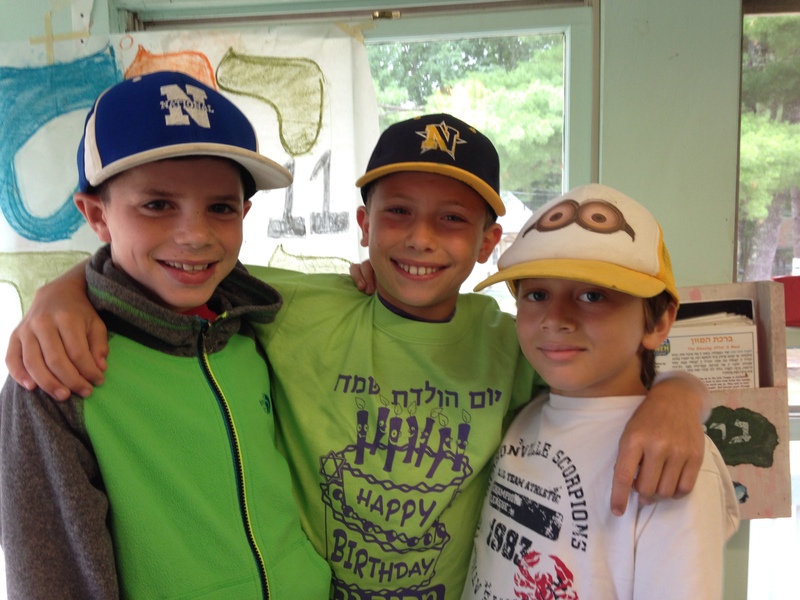 The event, named creatively “Torah Day” was presided over by a Yavneh Alum, Micha Shapiro. The entire camp came together to celebrate one of camps living hero’s (Debbie) with a special musical הלל (Hallel). The חניכים (campers) used bongos, percussion sticks and kids also sang o n back up vocals. It was just great to see the entire camp show its appreciation for Debbie through a Torah which will be used for generations to come. This made such an impression on Gurim that we decided to make our חסד (good deed) project about giving thanks to some of the hardest workers in camp. The Yavneh Food Service (aka. YFS) is a group of workers flown in from various countries to produce the excellent food we eat every single day and keep our facilities in working condition all throughout the Summer. It is these under-recognized heroes that allow the rest of us to always be having the best time. That is why it was fitting for each חניך to paint and write a personal “thank you” card for each member of the YFS staff. To further our understanding of “goodness” within the human spirit, we had “Erev Superhero” with כפרים (Kfirim). Each צריף (bunk) picked one מדריך (counselor) to make into a superhero. This included a costume, theme song, back story, and super power list. At the end of the evening we learned a valuable lesson. Each one of us can be “super,” it just takes a little bravery and decision to do what is right.